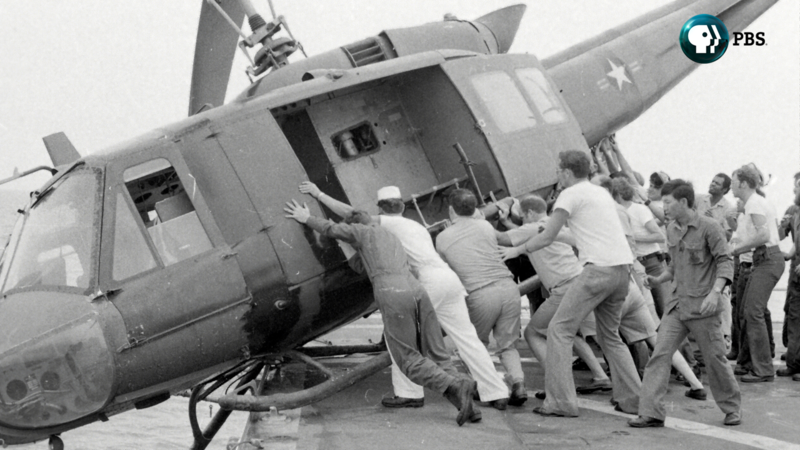 Pasadena, CA; January 19, 2015 – PBS announced today that the AMERICAN EXPERIENCE production “Last Days in Vietnam,” directed and produced by Rory Kennedy, will be available for streaming via PBS station websites and PBS station-branded digital sites February 5-7, 2015. The film, which has been nominated for an Academy Award® for Documentary Feature, will be made available so that Academy members will have an opportunity to view the film before voting closes on February 17, and so the public can preview the film in advance of Oscar® night. “Last Days in Vietnam” will premiere on AMERICAN EXPERIENCE on Tuesday, April 28, from 9:00-11:00 p.m. ET (check local listings) on PBS stations nationwide. Beginning Thursday, February 5, the entire film will be available to stream through PBS stations’ video sites, pbs.org/americanexperience and PBS station branded digital platforms, including ROKU, Apple TV and Xbox, and will be available through Saturday, February 7. In addition to this streaming window and the television broadcast, “Last Days in Vietnam”is available for rent or purchase on iTunes and Amazon Instant Video, as well as through many cable video-on-demand services. Following the PBS station broadcast, the film will again be able for streaming free on PBS.org/americanexperience. The DVD will also be available for purchase on ShopPBS.org and other retail outlets on April 28, 2015.